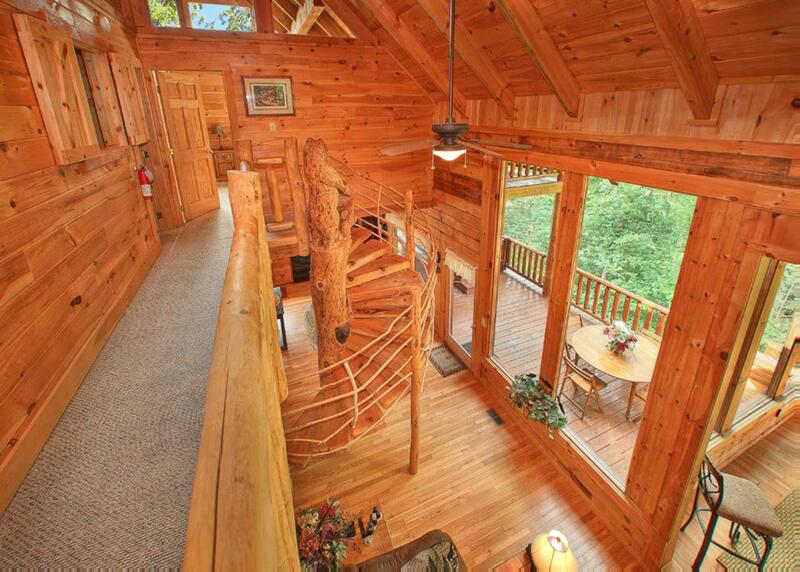 Have yourself an extraordinary stay in the Great Smoky Mountains in the Bear Extraordinaire cabin. 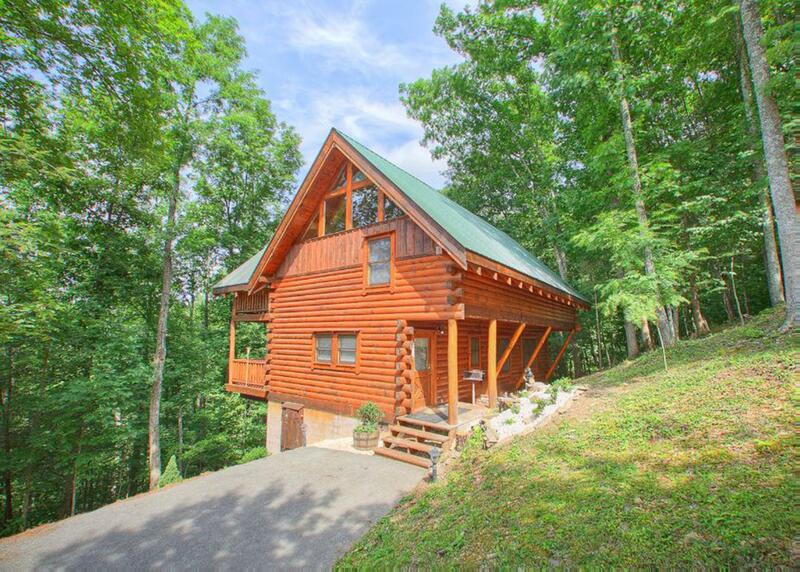 Sleeping up to six, this extraordinary three-bedroom, three-and-a-half-bath log cabin is located in the peaceful Brothers Cove Resort. 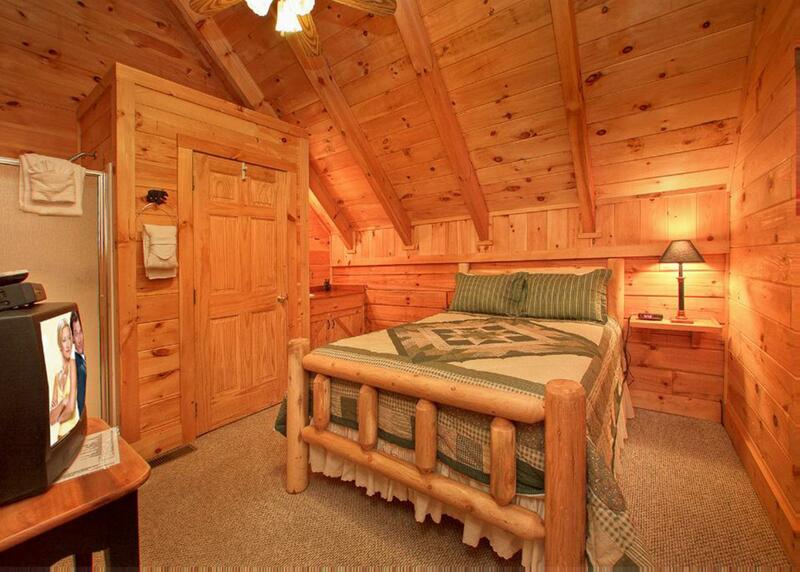 The home has 1 king bed and 2 queen beds that all have televisions. 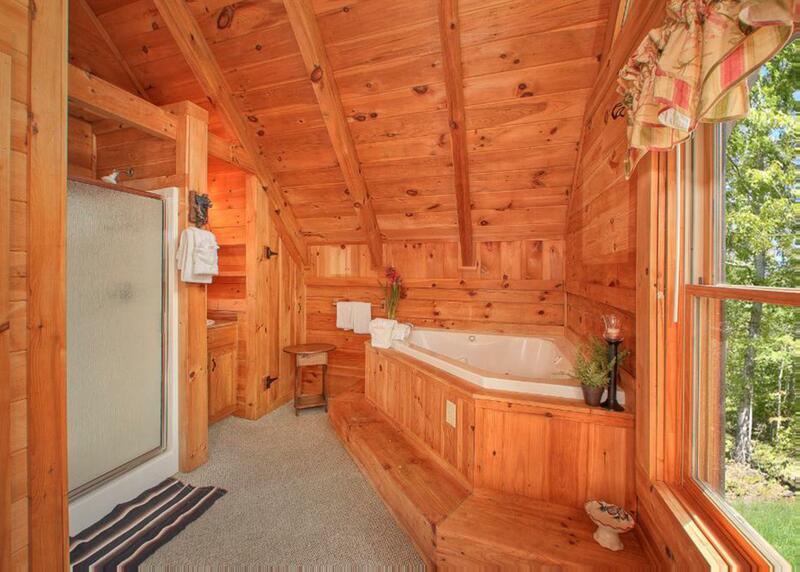 Select bedrooms feature private baths, jetted-tubs, and private decks. 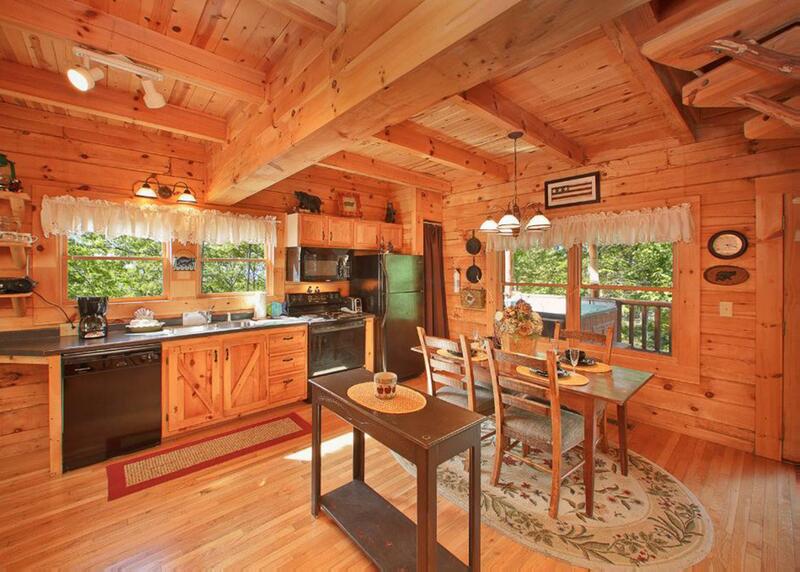 The kitchen is fully-equipped and ready to prepare meals and contains a dining table, which has four chairs, with additional folding chairs out on the deck that can be put at the ends of the dining table. 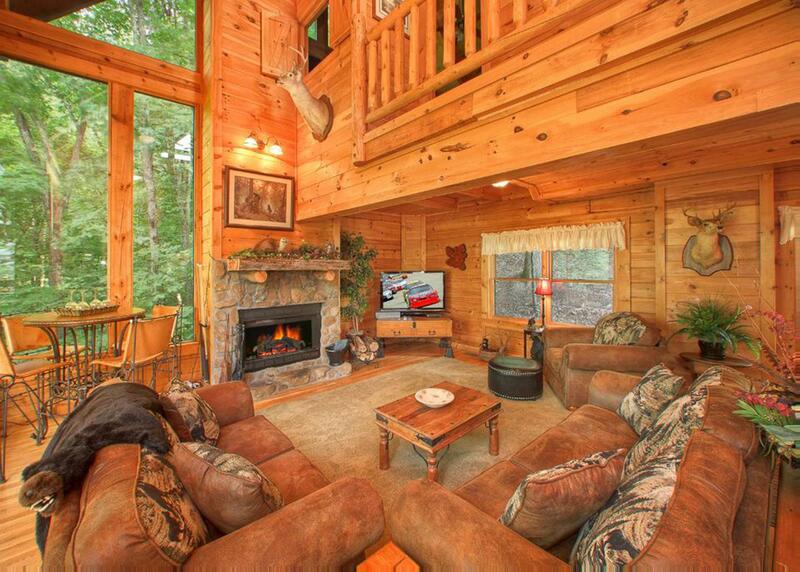 The living room features a stone fireplace, a television, and plenty of cozy seating for everyone. 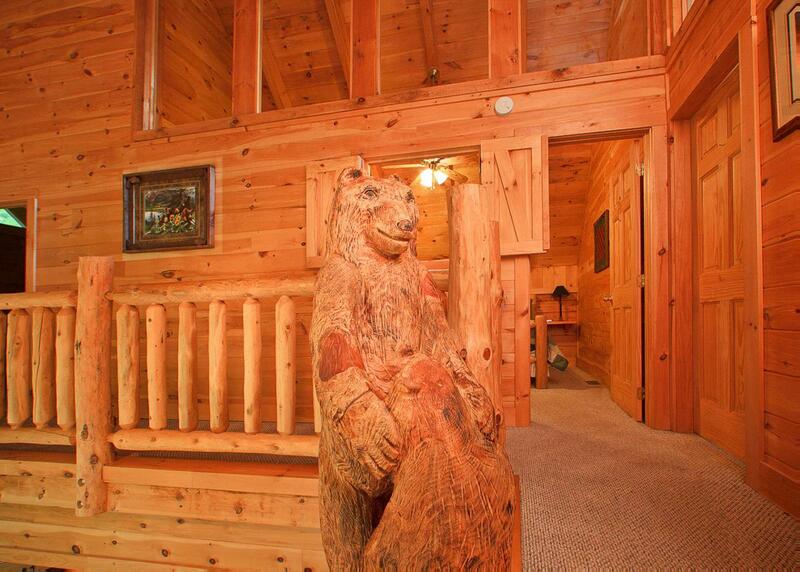 Guests can admire the rustic ambiance of carved animals in the stairs, and traces of subtle wildlife decor spread throughout the cabin. 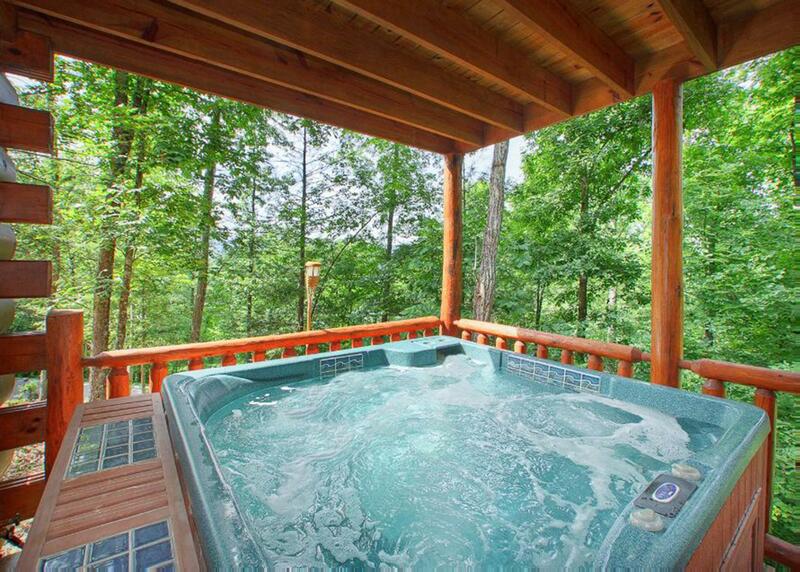 For your convenience, there is a washer, dryer, iron, and ironing board provided in the cabin, as well as a hot tub and pool table. Guests also have access to the resort's public swimming pool. We apologize for any inconvenience, but this home does not have Wi-Fi. We encourage you to bring your four-legged friend, as dogs are accommodated in the Bear Extraordinaire for an additional fee. Pet fee is $50 per pet. Bear Extraordinaire #28 is rated 4.7 out of 5 by 15. 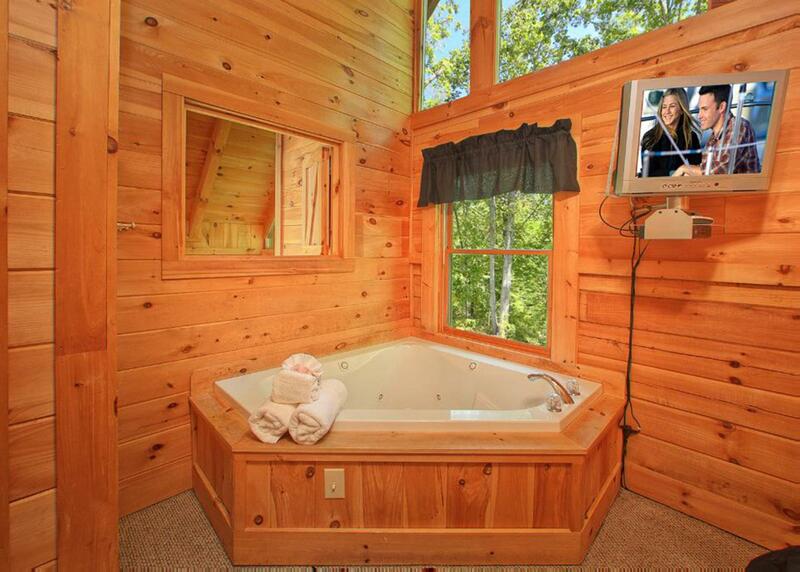 Rated 5 out of 5 by MelsFamily from Beautiful cabin! My entire family spent our first family vacation in over 10 years here. Naturally this vacation was very important to us. 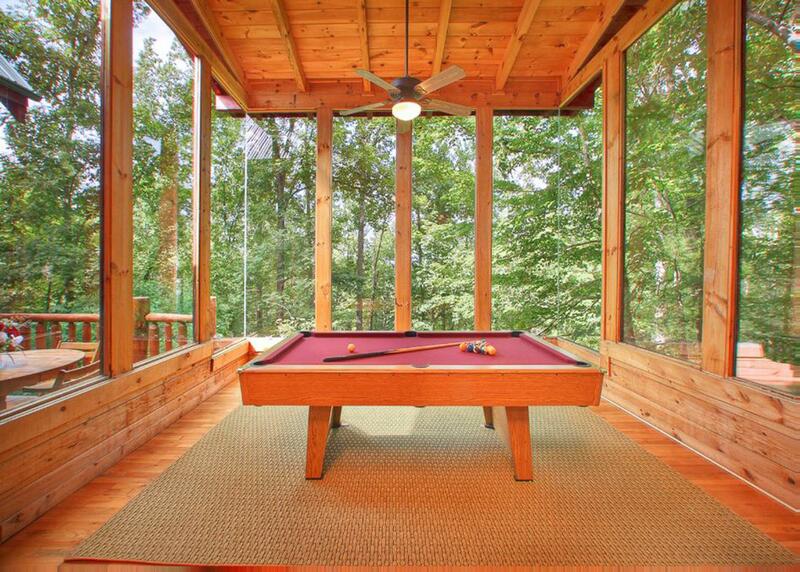 This cabin exceeded our expectations. 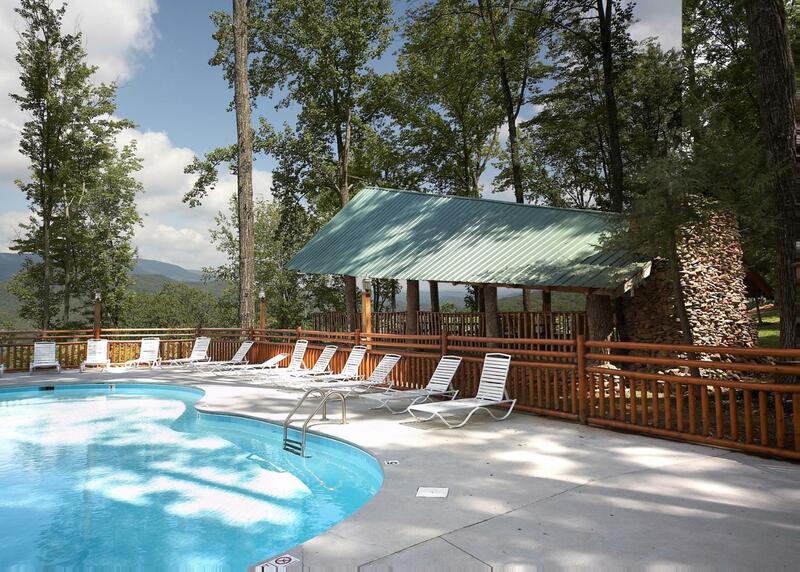 It's gorgeous, clean, and in a perfect location with Pigeon Forge and Gatlinburg right down the road. The vacation wasnt even over when we started discussing coming back to Brother 's Cove and having a new experience in another beautiful cabin. Also, the cabins are in their own private sections and not piled on top of each other where you can see other cabins like most places. The staff was also wonderful and answered every question I had very promptly. Thank you! Rated 5 out of 5 by Paula from Beautiful setting in the woods!!! 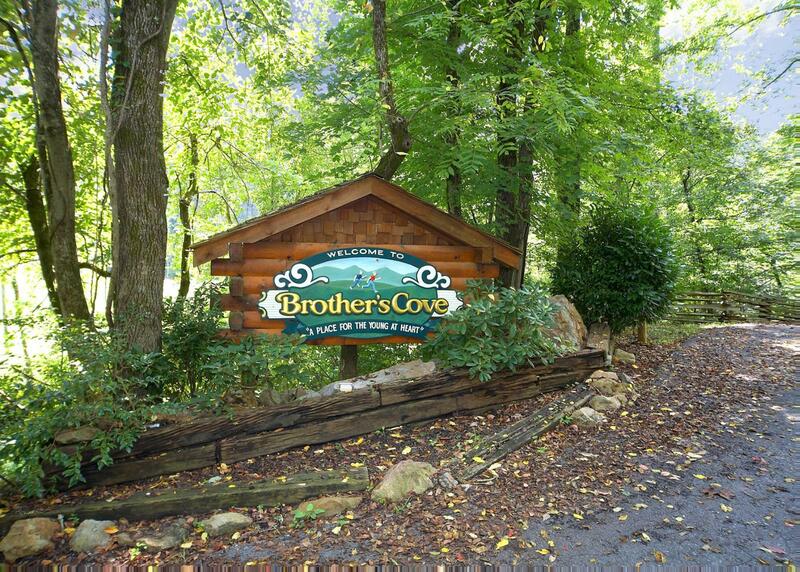 We visited the Smokey Mountains and stayed at Bear Extraordinaire last week. It was amazing! The check-in/check-out was simple. The house was exactly as described. Everything worked. 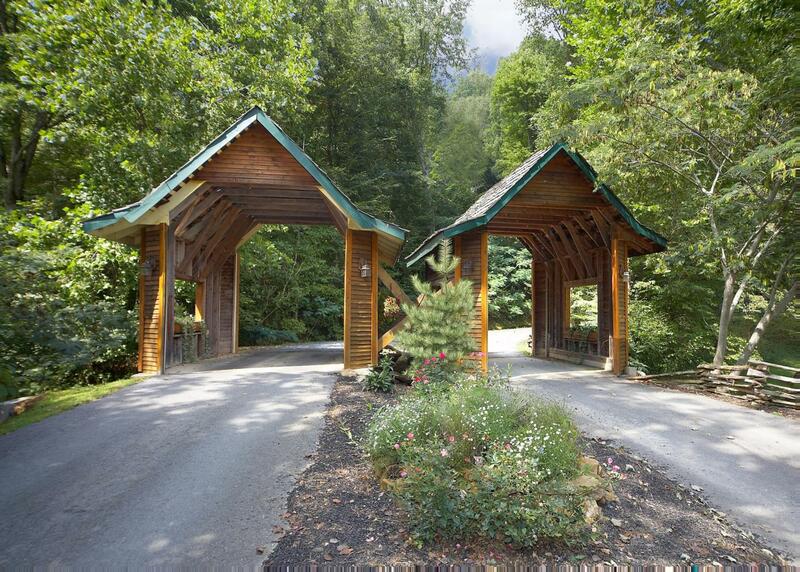 We used the house as a base for hiking, rafting, sight-seeing, river floating and zip-lining. It was a perfect location to have easy access to all of our activities. 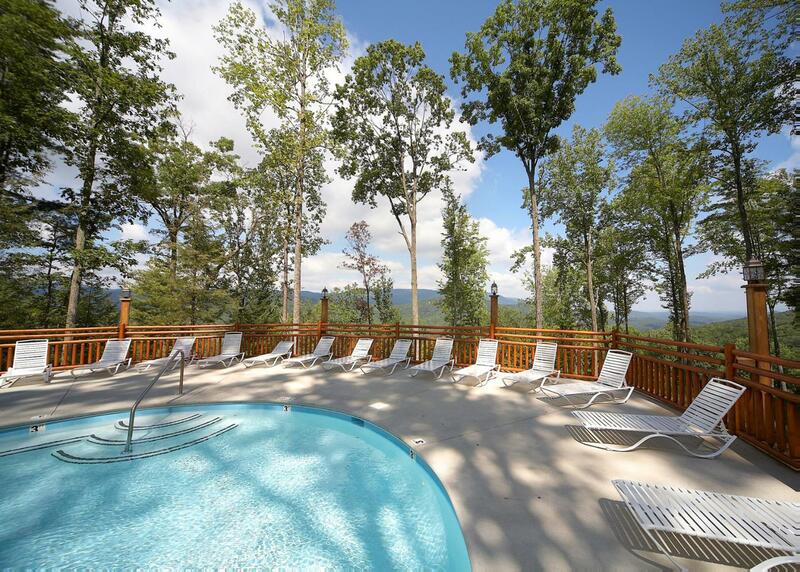 I will definitely use Natural Retreats again. Rated 5 out of 5 by Kathleen from Wonderful family trip!!!! Myself and my family visited from January 3 to January 8th (that last day was an add on due to unexpected snow!!!). 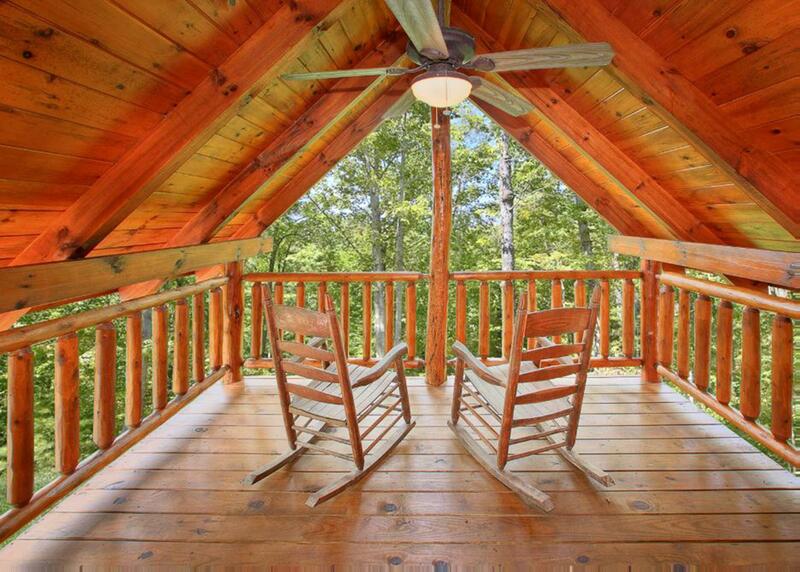 The cabin was wonderful, just what we needed for a get a way from the busy life that we need. it was beautiful and the location was wonderful....away from it all but just close enough to town to make it easy to do all of the things that we wanted to. Rated 5 out of 5 by Georgiegirl from Didn't want to leave! We spent our first Thanksgiving at a cabin and now want to continue this each year going forward! 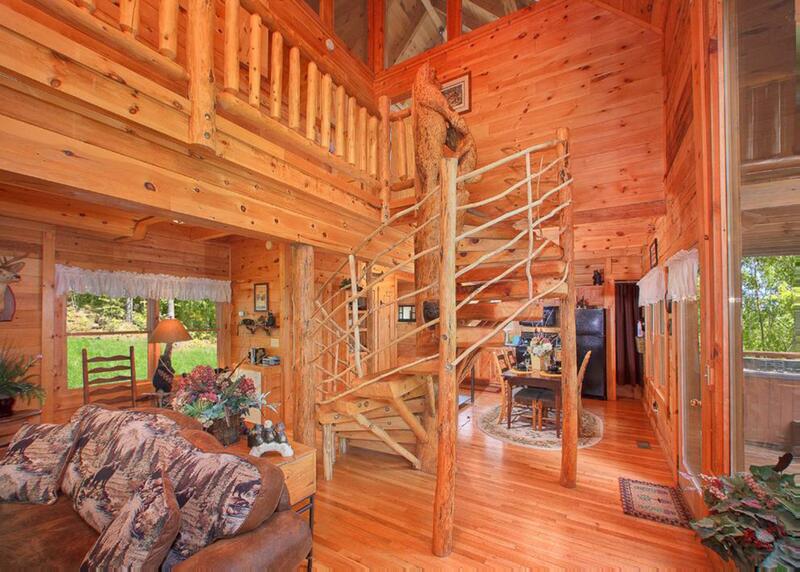 The cabin was beautiful, all the details/decor/furnishings were amazing. It felt like home and we all had so much fun just hanging out, playing board games and eating a lot of great food! We will definitely be back! 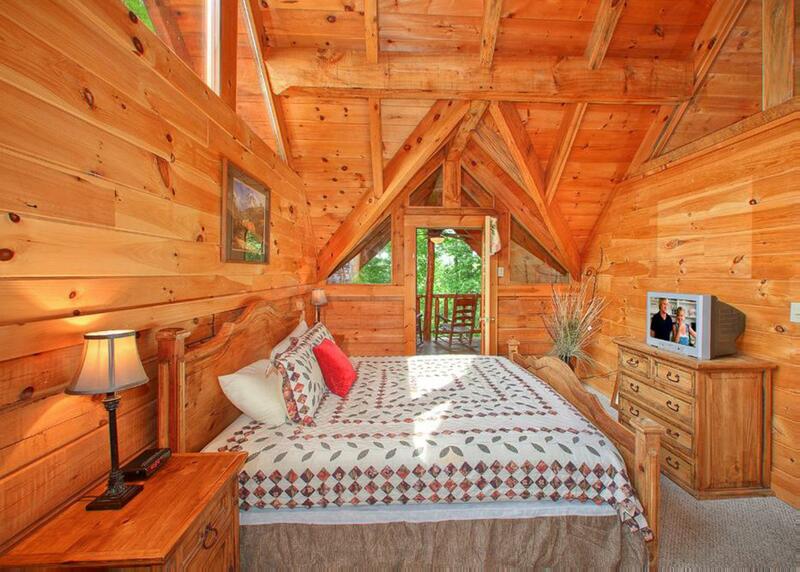 Rated 5 out of 5 by Gabi S from secluded We love our cabin. The location was perfect. Overall was clean. I have a few comments for improvement. Too much unnecessary furniture. The loose sheet of the bed was full of dog hair. There were no closets at all. Needs new frying pans. The rest was abosultely awesome. Rated 5 out of 5 by Anonymous from Gorgeous Cabin We visited this cabin in August to relax and get away from the hectic lives we lead. It was perfect. 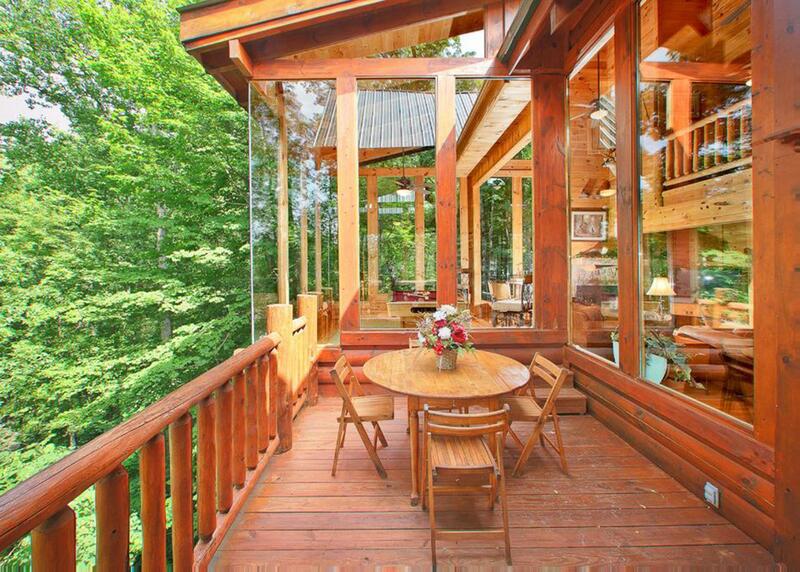 We loved how open the space was and all the huge windows that allowed us to feel completely surrounded by nature. We can't wait to visit again next year! Rated 5 out of 5 by Marci from Wonderful Cabin and Service This was the nicest cabin my family and I have stayed at to date. The pictures don't do it any justice. 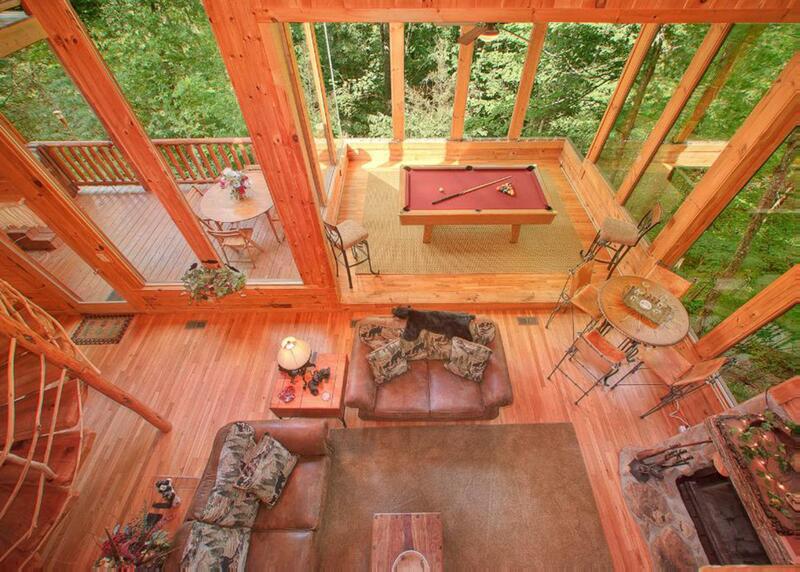 The furnishings were well thought out and the view was spectacular. There isn't anything I would change about our stay except staying longer! Rated 3 out of 5 by Bubba100 from Nice cabin - no wifi and poor cell connectivity Spent four days in April. 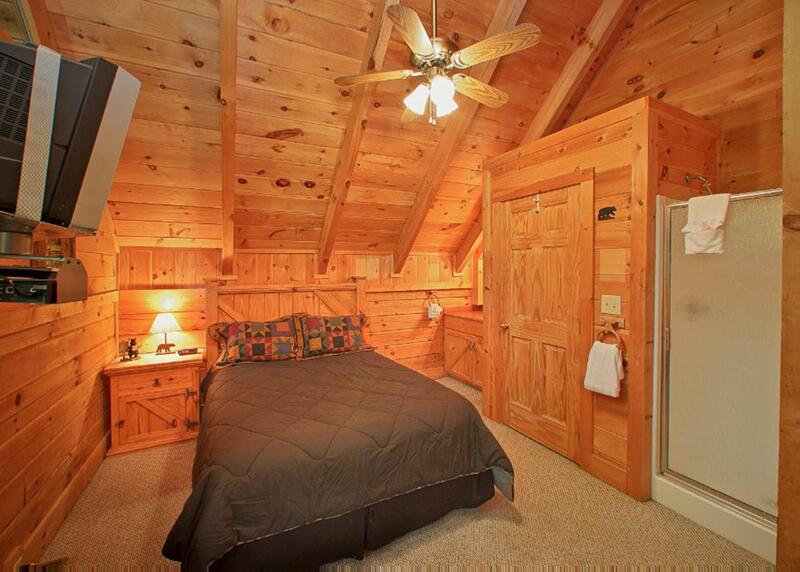 Beautiful setting, nice accommodations. However, there is NO connectivity! No wifi, generic DirecTV, and very poor (rare signal) cell coverage. Go here if you want to disconnect from the world.